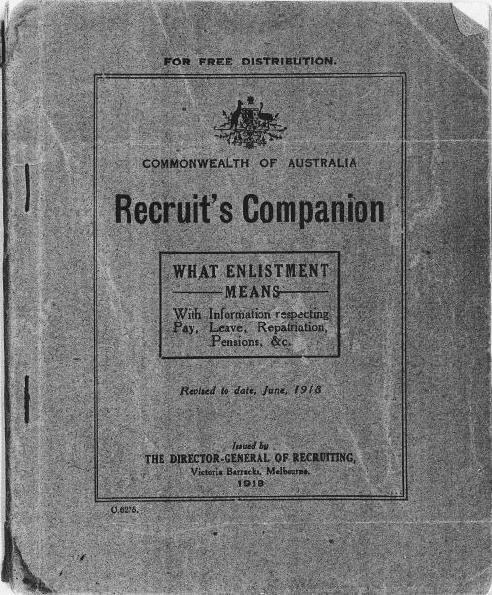 In 1918 the Director General of Recruiting produced a booklet for recruits called the Recruit's Companion. This booklet contained all sorts of useful information for the new members of the Australian Imperial Force (now proudly known just by the initials AIF). This booklet was issued to every recruit. "Knife, clasp, with marline spike, tin opener"
It is clear from this, that members of the Australian Imperial Force were issued with a Clasp Knife. 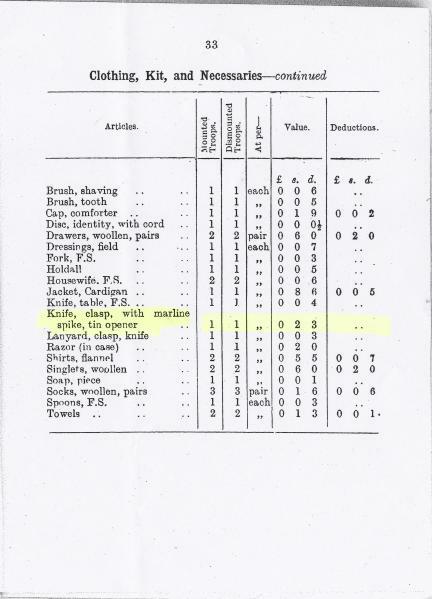 This was most likely of British origin because, there is no evidence of such knives being manufactured in Australia at the time and the description "Knife, clasp, with marline spike, tin opener" is essentially the same as that for the British Clasp Knife designated as Pattern 6353/1905 (refer British and Commonwealth Military Knives by Ron Flook Pages 132-135).